"Not all prenuptial agreements are created equally". "The proper creation of a prenuptial agreement lies in the details". 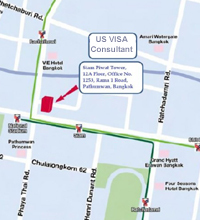 90% of the visa application process involves your fiancee or wife and takes place in Thailand. We spend time (personally) with your Thai lady, our staff, with our car and driver, take her to all the places she needs to go with regard to the application process: Embassy, national police headquarters, passport control, medical exam, post office for application fee, photo studio for specific photos that are required, district office, ministry of foreign affairs, etc, We complete all forms, applications, and translations, all we need is your fiancee or wife’s signature. We are the only firm that provides very personal care to the Thai girls. We take care of every thing in an effort to expedite the process. We make the process easy and painless for the Thai girls. Our clients hire us because they know that their Thai fiancee/wife will not be able to do everything that is expected of her. Of course you would never expect your fiancee or wife to perform as an immigration attorney who can speak, read, and write English and Thai. We know that caring for your fiancee or wife, through this confusing and intimidating process, is very important to you. We literally hold her hand through each and every step, treat her with kindness and respect and handle all the details efficiently and thoroughly. No other firm comes close to matching the level of service we provide. Our firm enjoys the best reputation for fiancee visas and marriage visas to the USA because it’s our sole area of practice. Other Thailand based firms spread themselves so thin by offering so many different types of services that it’s impossible for them to be experts in any one area. Our firm is called upon because of our specialization, unmatched track record, expertise, and reputation. Imagine that you are in need of a divorce. You would automatically search for a divorce lawyer. Someone who specializes in divorce and who’s sole area of practice is divorce. You would never look to hire an intellectual property lawyer, patent attorney, criminal lawyer, land use & zoning lawyer, personal injury lawyer etc. to represent you for your divorce. Our competitors offer: visas to stay in Thailand: business visas, work permits, marriage based visas, retirement visas, education visas, Thailand company registrations, tax work and accounting, real estate purchasing services, criminal, divorce, intellectual property and copyright, debt collection, estate planning, personal injury, wills, debt collection, private investigation (seriously! ), visas to: England, Australia, Switzerland, and all types of visas to these countries, work, investment, tourist, student, and much more. By trying to do so many things they end up with an inferior ability in all. 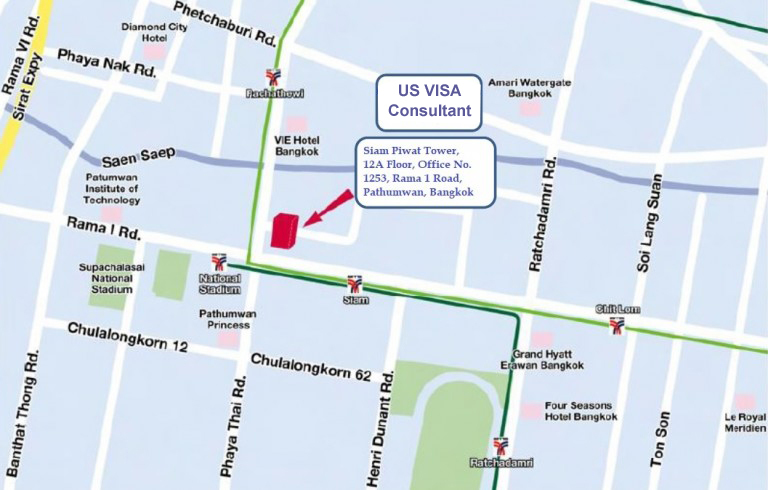 Our sole area of practice is fiancee visas and marriage visas from Thailand to America, and we also support our clients related needs. For example: when your fiancee arrives in the USA she will need a green card, employment authorization, social security card and perhaps a travel permit. People hire our firm when they need 100% assurance the visa will be issued. For all of our clients being with the person they love is the most important thing in there lives. We take our responsibility for our clients very seriously and work on your behalf in a serious and compassionate manner. Some people question how we can have a 100% success rate. Here are the simple ingredients that are required for a 100% success rate: A) know your job inside out backwards and sideways. B) know what it takes for a visa application to be successful and do it. C) know what it takes for a visa application to be denied. D) and here’s the most important one: pre-qualify clients and don’t take on clients who don’t qualify, be honest with your client and tell them when they don’t qualify, we ask a few simple questions at our first meeting to qualify our clients E) handle all of the details efficiently and thoroughly, F) treat each and every client as if they were your only client. Some firms are not knowledgeable enough about their profession to know when a client doesn’t qualify, or how to qualify a client. Some firms do know when a client doesn’t qualify but deceive them just to get their money. Being knowledgeable and honest should be the cornerstones of any business. No one should attempt to represent you without knowing full well that you and your fiancee or wife qualify for the visa. If a firm can’t pre-determine whether or not you qualify (or can qualify you) then they don’t have knowledge or experience and have no business charging money for a service they know nothing about. Some firms can be very convincing and better at selling than delivering on promises, and some firms agree to represent you knowing that they don’t have the ability to obtain the visa for you. This is emotionally abusive and dishonest. Ours is the oldest and most established firm. We were the first, and we certainly haven’t gone unnoticed. All other firms who now compete with us have copied us, some more than others. One firm simply copied and pasted our web site to created their own site. Another firm, lacking integrity, copied the concept without the compassion. None of our competitors has our depth of knowledge, our experience, our track record, or good reputation. Would you hire the leader or someone who copies the leader. No one has ever hired a competing firm after talking with our firm. Even after meeting with a competing firm in person and being subjected to their high pressure sales tactics. We are the only firm that is confident enough to offer a money back guarantee.